I took my girls for our fall camping kickoff last week, a day after our first meeting of the year! They were so, so excited, and so was I; I managed to reserve a campsite that we all love at our local Girl Scout camp, the weather was supposed to be beautiful, and most of my girls have some camping experience now. No, DON’T kill it with fire! 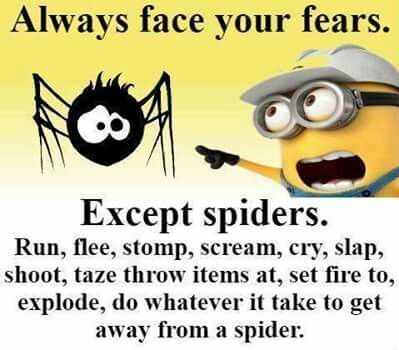 I am used to having to deprogram girls when it comes to bugs, especially spiders. Most of them have had very little contact with bugs except to see their parents scream and kill them and talk about how scary they are. So being in the great outdoors in THEIR HOUSE is a whole new thing. Except really for these girls, it’s not; a few just dig their heels in on the spider thing. I must have sounded pretty serious about it because that was the last screaming I heard about a spider. A little while later, after the girls had chosen which glen shelter they would sleep in, one of them mentioned to me that there was a “pretty big spider,” on the ceiling of the shelter. I said “that’s fine, just don’t worry about it,” and forgot about it. We did so many fun things on this trip! Girls cooked our walking tacos from scratch, starting with raw beef. Like a bunch of cooking bosses! They all helped with the fire, those who wanted to practiced lighting matches, and after dinner we made “dump cake.” I hate the name dump cake, but it is delicious! Then we cleaned our campsite, made hot chocolate, and went stargazing. It was quite chilly out so after that we returned to our toasty fire to chat until bedtime. After chatting for a while, two of the girls got sleepy and retired to their chosen shelter. The rest of us continued chatting a while longer. Finally I got tired enough that I herded the rest of the girls to their shelter for bed. I had an extra blanket to throw on a pair of sisters I knew had very lightweight sleeping bags, so I grabbed the blanket and my flashlight and went in. After I covered them up, I thought… I’ll just take a look at that “big spider.” By this time, all girls are in bed and two are asleep. I point my flashlight up at the ceiling and just about pass out at the sheer size and majesty of the spider up there. I am not even joking when I say this thing was a monster; roughly the size of my hand, and sitting on a giant egg sac, with its eyes just glittering in the light of my flashlight. Oh look, she found a friend! WOW. That is quite a long way from “screaming over every little spider,” to “sleeping beneath a monster spider of epic proportions” in one day, isn’t it? I made the executive decision to not mention it to her; odds are that the two empty shelters had similar spiders anyways, and it’s not like we could get them OFF the inside of the roof, way up in the eaves like that! I did wonder a little bit about the spiders moving during the night; probably not poisonous but could still bite. I did not think they would though, especially given how chilly it got; they didn’t seem very active. So I went to sleep. When I woke up, our spider hadn’t moved and neither had the girls, thank goodness! Over coffee the next morning, I told my co-leader I had a confession, and then told her about the spider. She was shrieking NO WAY as she sprinted into our shelter to see. Then she told me she would have slept in a chair by the fire if she’d known! So that’s my tale of two spiders. 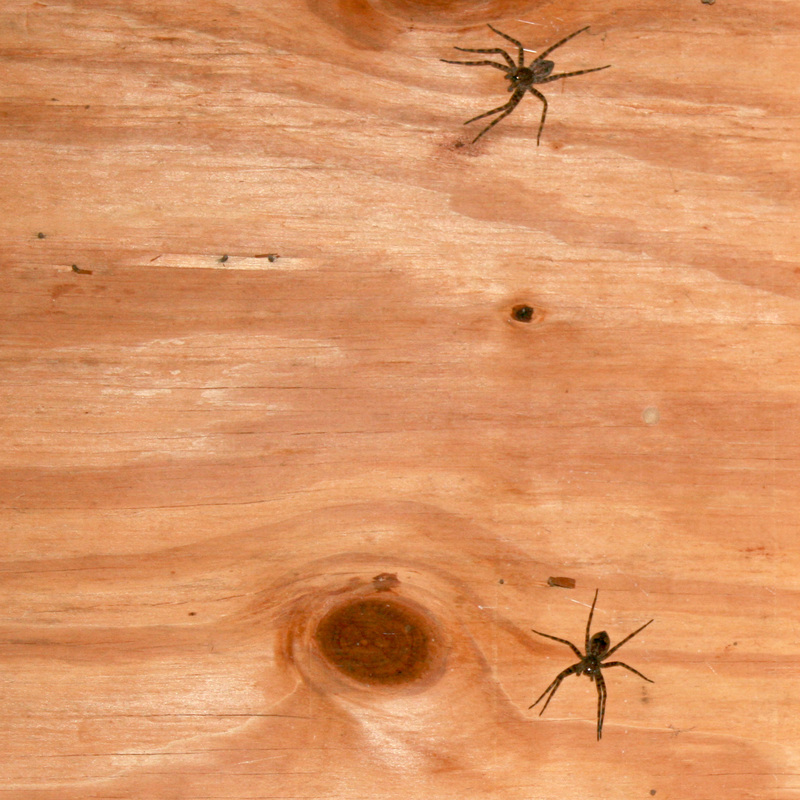 I will confess that these spiders pictured were not from our camping trip. But I was in the same location a week later for a training, so I stopped by to see if I could get a picture of that same monster spider on the egg sac. I didn’t see her, but the two giants here posed so prettily for me I couldn’t resist them. 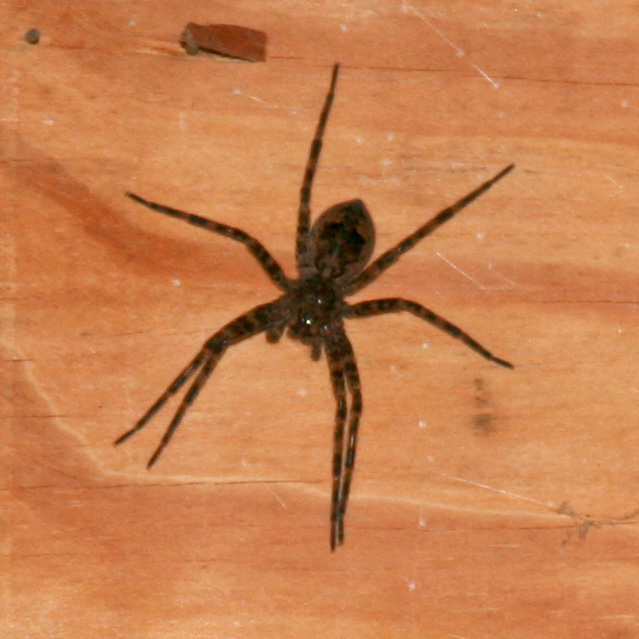 They are the same type of spider; I believe probably a dark fishing spider per this link. Let me know what you think! 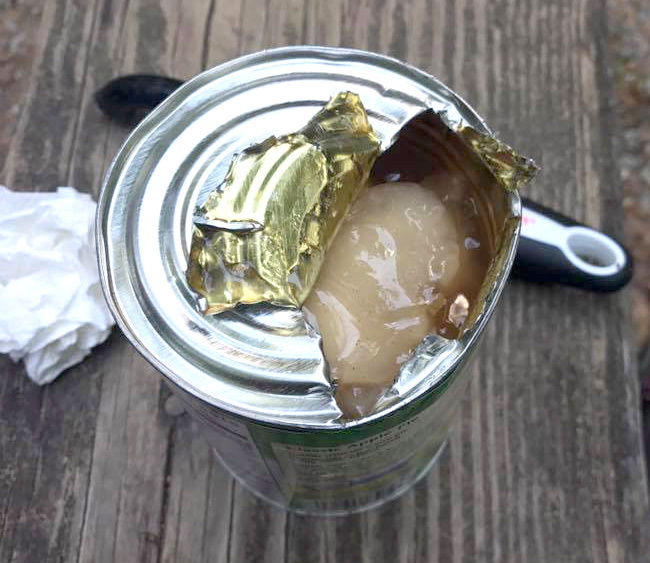 My final last words on this camping trip are; check the rafters well with a flashlight FIRST, and… don’t forget the can opener, lest you wind up engaging in an Old Man and the Sea type struggle with a can of desert. Disclaimer: No spiders were harmed in the writing of this post or during our camping trip. The person engaging in an Old Man and the Sea type struggle with a can of desert was none other than myself, with my trusty pocket knife and a vegetable peeler which died a sad death that day.